I have posted more than once about Claudia Jones and her life and work in London with the “Windrush Generation.” That phrase, lately much in the news from the U.K., refers to persons who emigrated from the islands of the West Indies to England in the two decades after June 21st, 1948, when HMS Empire Windrush landed at Tilbury from Jamaica. The ship’s 492 passengers were responding to a call for workers from British manufacturing and service industries, which faced a severe labor shortage as they struggled to rebuild an economy and infrastructure devastated by World War II. 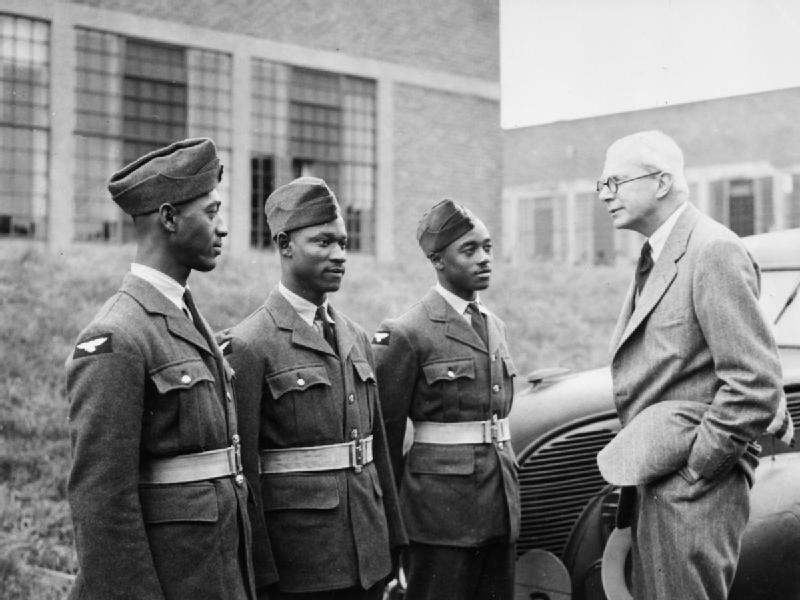 West Indians in the Royal Air Force: The Secretary of State for the Colonies, the Right Hon Oliver Stanley, seen chatting with three volunteers (L to R: AC W P Ince of British Guiana, AC E Johnson of Jamaica and AC S E Johnson of Jamaica). The Windrush passengers, as well as many or most of those who followed them, had been raised and educated to see the U.K. as in some sense, “home.” They understood themselves to be “British” and expected a warm welcome. Many had fought for the “mother country” during World War II; they had been well received as allies and looked forward to a similar reception when they returned as workers. Citizenship was not an issue for those early arrivals. As “UKC” (citizens of the United Kingdom and its Colonies), the adults held British passports; the children, who travelled on their parents’ passports, required no individual documents. Who knew that would cause those children so much trouble in old age? Windrush children and grandchildren have been threatened with—and experienced—loss of their homes, their health care, their pensions, and even with deportation. What happened? Not surprisingly, it’s a long story, an old story, and a story with striking resonance in the United States, where young people who were brought here as children, “DREAMers” —educated in our schools, served in our armed forces, worked and paid taxes—are threatened now with deportation to countries where they have never lived. There are significant similarities between the U.S. and the U.K. in matters of immigration, especially in the pervasive racism that underlies so many restrictions. In one egregious U.S. example, the McCarran-Walter Act of 1952 separated the West Indies from other British Commonwealth countries, limiting immigration from the islands to 800 per year while allowing unrestricted entry from the rest of the Commonwealth. Before 1952, islanders in search of employment, like the parents of Claudia Jones, were inclined to travel to the U.S., where there were jobs and communities of Jamaicans, Trinidadians, and others in New York City and elsewhere. After 1952, the numbers entering the U.K. increased, as did resistance to their presence. Excluded by racism on one side of the Atlantic, they encountered it on the other. That was a self-fulfilling prophecy: discord and unhappiness were provoked by racism that trickled down from Cabinet ministers as well as up from the streets. 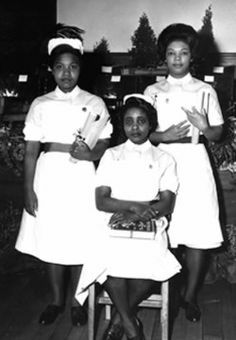 The “mother country” did not live up to the expectations of its West Indian sons and daughters—not in housing, where “no niggers” was considered acceptable signage along with “Rooms to Let”; not in employment, where islanders were welcome as construction workers, bus conductors, and nurses’ aides, but almost never hired for professional jobs whatever their skills or training; not in schools that regarded their children as “backward.” The environment for the islanders was at the very least unfriendly and at times much worse: in 1958 there were riots in Notting Hill, and in 1959 a young Antiguan carpenter named Kelso Cochrane was murdered by a racist gang. The authorities infuriated the West Indian community by treating the murder as an “incident” and denying its racist character. On the other side, there was an increasingly determined and creative counter-attack. By 1958 Claudia Jones was the editor of The West Indian Gazette, the monthly newspaper that became a focal point of community and resistance. 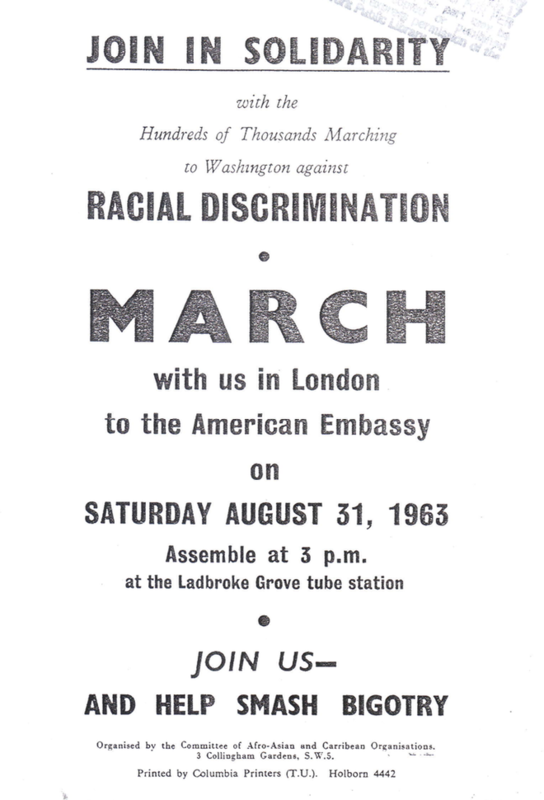 The Gazette not only provided news of islanders in London and news from home, it connected resistance in the U.K. to freedom movements in Africa and to the civil rights movement in the United States. In 1962, Prime Minister Harold Macmillan’s Tory government brought forward a “Commonwealth Immigrant Act” designed to limit immigration from Asia, Africa, and the West Indies while maintaining the idea of the Commonwealth as a union of equals—a tricky, unwieldy, and ultimately unsuccessful project. Jones, who never minced words, called it “the Colour-Bar Act” and wrote in a July 1962 editorial: “Either West Indians are British Commonwealth citizens or they aren’t. If they are, they have every right to emigrate to England…” [A partial transcript is available at right]. She did not win the battle against the Colour-Bar Act, but her Gazette was the loudspeaker of the Windrush Generation. Claudia Jones died in 1964, before her 50th birthday, worn out by the consequences of poverty in childhood and hard work throughout her life. In her last years she devoted much of her extraordinary talent and energy to an all-out campaign against the first iteration of successive bills brought by both Labour and Tory governments to discourage Commonwealth citizens of color from settling in the U.K. These legislative and executive efforts, which began right after the Windrush landed, continue with special force and passion in the Brexit era, 70 years later. Amber Rudd, the Home Secretary who was chastised by David Lammy, has resigned and been replaced by Sajid Javid, who has promised to do better by the Windrush Generation. Rudd has recently been “cleared of incompetence” (see Lammy’s tweet and replies). But their safety is not assured. Although there have been loud and angry questions in Parliament and a vociferous outcry in the press and social media since the scandal broke a few months ago, the underlying situation will not vanish; it has been in the making for a very long time. In 2012, when she was Home Secretary, (now) Prime Minister Theresa May promised to construct a “hostile environment” for undocumented and unwelcome immigrants; she helped to do just that when she oversaw destruction of the archived landing cards that established arrival dates for members of the Windrush Generation. The environment had been hostile enough in 1962, when Jones fought the “Colour-Bar Act”; it remained so in 1971, when immigration from the “new Commonwealth” countries in Asia, Africa, and the West Indies—that is, of people of color—was officially restricted, while immigration from Europe, Ireland, and the “Old Dominions” was encouraged. As in the United States, racist policy and practice in the U.K. tend to emerge and fade with successive changes of government and policy, but they never entirely disappear. As with policy, so with speech. Theresa May’s “hostile environment” seemed new, or newly explicit, but its meaning is not really very different from the threatened “discord and unhappiness” in the letter to Attlee quoted above. May is not the first public figure to pronounce outspokenly racist views when the prevailing mood permits or encourages such expression. In 1968, in the notorious speech known as “Rivers of Blood,” MP Enoch Powell stated that “The West Indian or Indian does not, by being born in England, become an Englishman. In law he becomes a United Kingdom citizen by birth; in fact he is a West Indian or an Asian still…” Powell’s opinion was shocking mostly because it was spoken aloud and not behind closed doors, and it found receptive listeners. On both sides of the Atlantic, elected officials make explicitly racist and provocative statements when the times allow. More than half a century ago I heard a newly-elected governor of Georgia call for “segregation now, segregation tomorrow, segregation forever.” Over time I came to believe that we had left such hateful public speech and policy behind, but it is all too obvious that we have not. In January 2018 we had to listen to the American president, in his characteristically hateful and disgusting style, speak out against immigrants from “shithole countries.” As I write, the situation in both of the rapidly declining Atlantic empires is grim. Right now, as a matter of policy, would-be immigrant families—and refugees seeking asylum—are separated at United States borders and children are taken from their parents, to be sent God knows where. Neither the scandalous treatment of the Windrush Generation nor the American turn toward fascism would have surprised Claudia Jones; she would have kept on working. It is essential, if sometimes difficult, to remember that there is still, as there has always been, a determined and heroic resistance. We could do worse than follow the lead of our young DREAMers: they don’t look just like the elderly members of the Windrush Generation, but their struggles and their stories have striking resemblances. Your comments are welcome, below. This information should be on the front page of every paper in the west until these countries restore the rights of citizens. It is odd to be so old–me, the reader–and remember, too, the overt racism of the 1950s and 1960s, and see it again, in full force, today. What strikes me is the completely inefficient ways current politicians are cloaking racism in immigration policies that claim to be for the safety of the country. An age old refrain–we (white citizens) are endangered by people of color. It’s the same base hatred, the same stupid fear, the same me-first refrain. Maybe it’s bred in the bone. Maybe it never goes away. I hate to think so, but I see no evidence to the contrary. Powerful essay, so clear and thoughtful and informed. When’s your book on Claudia Jones going to be done? That’s my question. May I suggest the following novels, for anyone who would like to approach the British issues from that perspective? All are very well written and make jolly good reads, as the Brits would say. And, yes, I have actually read them! Andrea Levy (black British), “Small Island”. 2004 (was made into movie 2009). Orange Prize for women’s fiction. Zadie Smith (black female, British), “Swing Time”. 2016. Booker Prize Long List. Chris Cleave (white male, British), “Little Bee”. 2009. This is terrific, Crissy. It’s so clear. I’ve been following the Windrush issue in the Guardian, but it’s full of gaps. Another incisive chapter on Claudia Jones’s clear-eyed views of the issues in this sorrowful history and on-going tragedy. May we expect to see the definitive book soon?